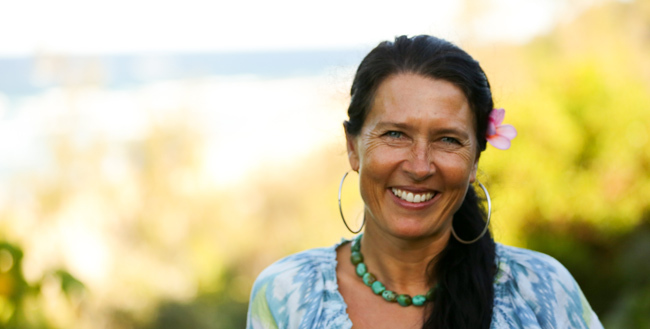 Lisa is an environmental artist living on North Strabroke Island. She's been studying and sharing Oki-do Yoga for over ten years, specialising in the healing art of Zen Yoga Therapy (corrective exercises for the mind-heart and body). She trained with Peter Masters and the Brisbane Oki-do study group and with Yuji Yahiro and the Oki-do Italia study groups in Rome and Naples. Lisa is also a Zenthai Shiatsu practitioner. She's been studying in Australia, Thailand, Laos and Bali with the founders of this style Gwyn Williams (Zenthai Shiatsu) and Arnaud L'Hermitte (Osteothai). Her committment to practice comes through an inspired purpose to share the tools for positive change. In developing our awareness of the potential within each of us we're able to connect with our life force, touching our internal condition. A natural and innate healing process takes place. This can be very powerful and is as constant as our continual state of change. I have known Lisa for six years and in that time have attended her workshops, yoga classes and had many massages. Lisa's workshops are informative well structured and provide useful and usable life skills. Lisa provides great information on how to eat for both good nutrition and medicinal purposes. Her information gives us an insight on how we are able to heal ourselves. More than that the food is incredibly delicious and tasty. Adding to the benefits from eating well, Lisa teaches the relevance that yoga has in our lives. We are taught the seasonal adaptations we can make to our asana practice to assist the body to nurture its different organs. This assists us to stay well throughout the year. Lisa massages are the icing on the cake! I have been getting monthly massages for 5 or so years now and have found all my aches and pains have disappeared. I highly recommend Lisa to everyone!!! North Stradbroke Island offers us a unique environment in which to study, practice and play. Immersing ourselves in nature has a powerful affect on all aspects of our health and vitality. 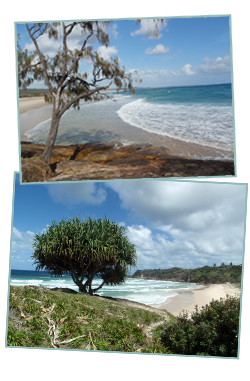 North Stradbroke Island is a special place for many; the spirit is strong and we are close to the elements. To live, breath, eat, move and play according to how nature intended is what we must aim for to optimise our lifeforce. I seek to combine and enhance the nature within us with the nature surrounding us. This is simple and yet potent. All that is offered at North Stradbroke Island Yoga & Massage is with an expression of joy, unconditional loving kindness, compassion, positivity and gratitude. Create freedom for your mind/heart and body for the freedom of spirit.